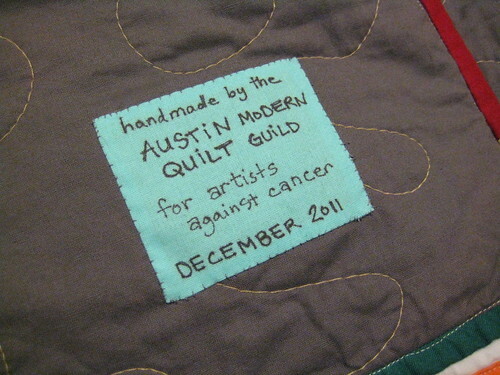 During the 2011-2012 fiscal year, the Austin MQG donated four charity quilts! 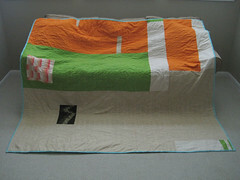 Members of the guild worked together to create the quilt titled Solidarity, which was donated to Artists Against Cancer's 2011 Silent Auction. You can read more about this donation quilt here. In August 2011 two homes in north Austin burned down. 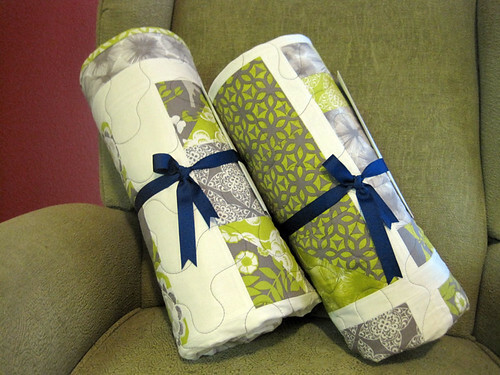 Members of the guild worked together to create two quilts, one for each family that lost their home, from Ty Pennington's Impressions fabric line. 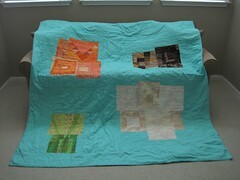 You can read more about these donation quilts here. Have you seen the new MEMBERSHIP link at the top of the blog page? 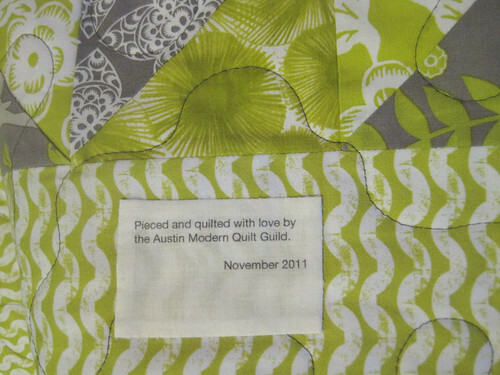 You can now sign up to be a member of Austin Modern Quilt Guild! For those that were not at the June meeting, big announcements came from the Planning Committee. (1) We have By-Laws and Rules & Regulations. (2) We are requiring dues to be paid to be an official guild member. The cost for the "first half" of the 2012-2013 fiscal year is $20. (3) Elections for the Executive Council will be at the next meeting - the JULY 2012 meeting. You can read about the duties of the Executive Council positions in the By-Laws and Rules & Regulations. (4) We need volunteers for committees! Committee positions are not elected, but members of a committee report to an Executive Council position. You can read about the duties of the committees in the Rules & Regulations. 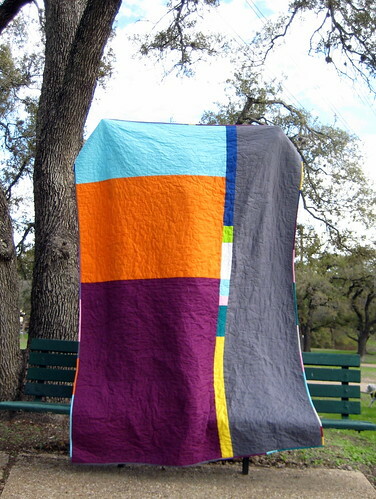 What do you get, as a member of the Austin Modern Quilt Guild? Discounts at local quilt shops! Learn more about us by reading our By-Laws and Rules & Regulations. Click on the MEMBERSHIP tab on the blog to sign up for membership! Paid membership is required to vote at the July meeting. Our final month of the block swap is finally here! You can read about the details of the swap by clicking on the Block Swap tab at the top of the page. 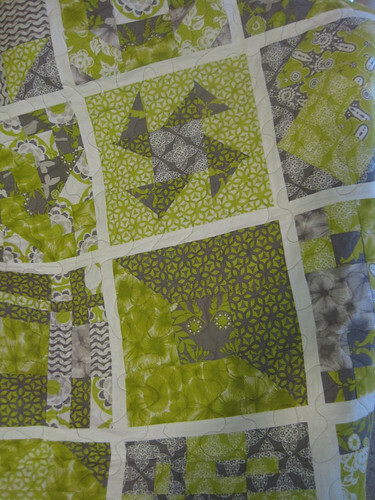 Faith of Fresh Lemons Quilts has written a tutorial for the Rocky Road to Kansas block, click here to read it. 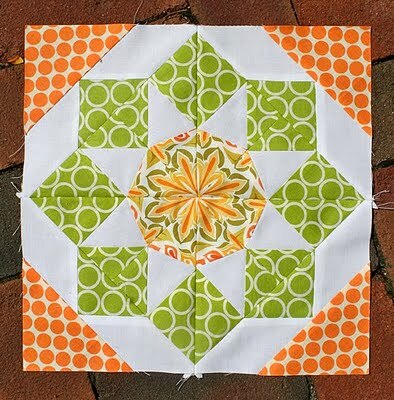 Lee of Freshly Pieced has written a tutorial for the Kansas Dust Storm block, click here to read it. 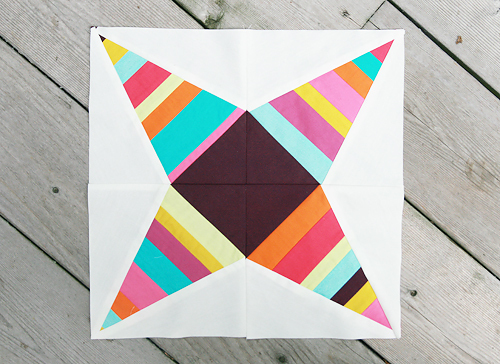 All blocks must be 12.5 inches square and made with 100% cotton fabric. You can decide to follow one or both of the tutorials listed above or create your own block. 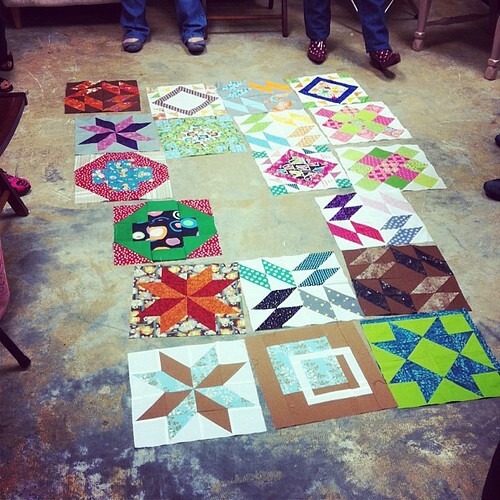 Please make two blocks, one to swap with other guild members at the June meeting, and one to donate toward a future charity quilt. Orange or yellow, or a combination of those two colors. 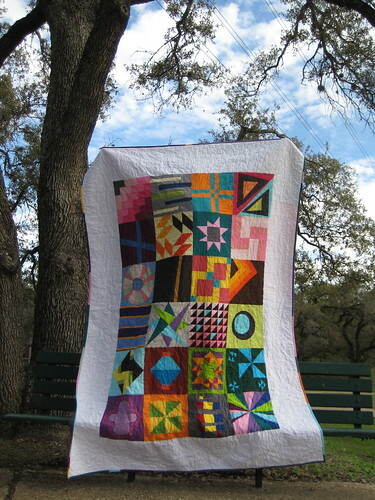 This swap is open to all members of the guild who sign up by June 21st, 2012 via the Austin Modern Quilt Guild Facebook Page. An event will be set up by our Special Events Coordinator, Jessica. If you are a member who is not on Facebook and would like to participate, please contact Laura Pearce at laura@polkadotzombie.com. Pouches can be any size provided they are large enough to hold sewing notions or other small items. No ID pouches please. Your pouch should contain five dollars worth of goodies. You may choose to include a small handmade item like a pincushion, notions, fat quarters, or something else entirely. The only rule on the contents is that you choose something you would be pleased to receive and that you do not go over the $5 budget. 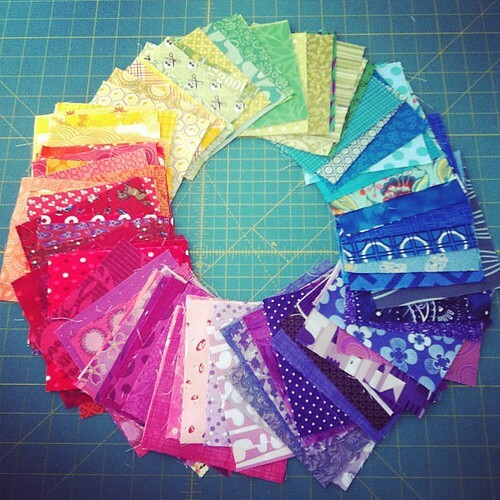 There are many free online tutorials for zip pouches of different shapes and sizes. I've included some links at the bottom of this post to help you get started. You will need to bring your finished pouch with a gift inside to the August meeting. Please bring your pouch in a brown paper sack or plain wrapper so that we can all oooh and ahh over the pouch when the package is opened and revealed. When you arrive at the meeting with your pouch please bring it to the collection area we'll have set up. We will draw names for the order we choose pouches in. The swap will be a White Elephant exchange. One pouch per participant please as this could take far too long if each person is doing multiple swaps. Have fun with your pouch creation, we can't wait to see them! Join us for our June monthly meeting, which will be held Thursday June 14th from 6:30-8:30pm at Remnants: fiber[culture] (10435 Burnet Road, Suite 106). Show and Tell Theme: Batting! 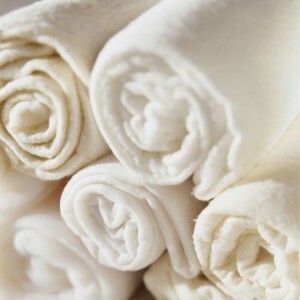 Bamboo, silk, wool, oh my! And then of course the standards - cotton and polyester. For show & tell, bring batting samples and/or a finished quilt that you don't mind being handled by others, as we discuss the pros/cons of various types of batting. We will also be talking bylaws, and will start the nomination process for new officers.